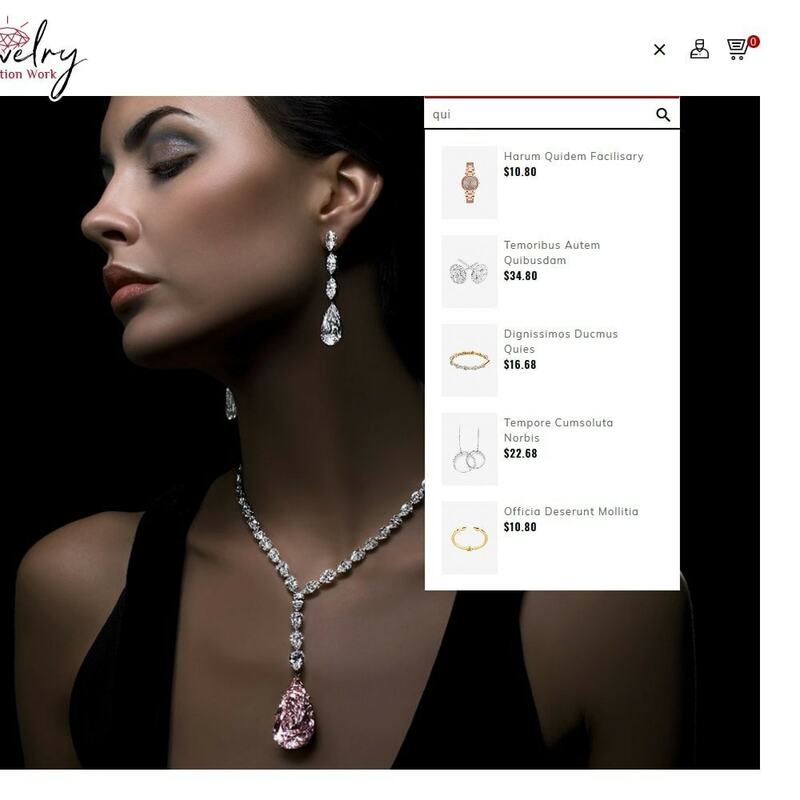 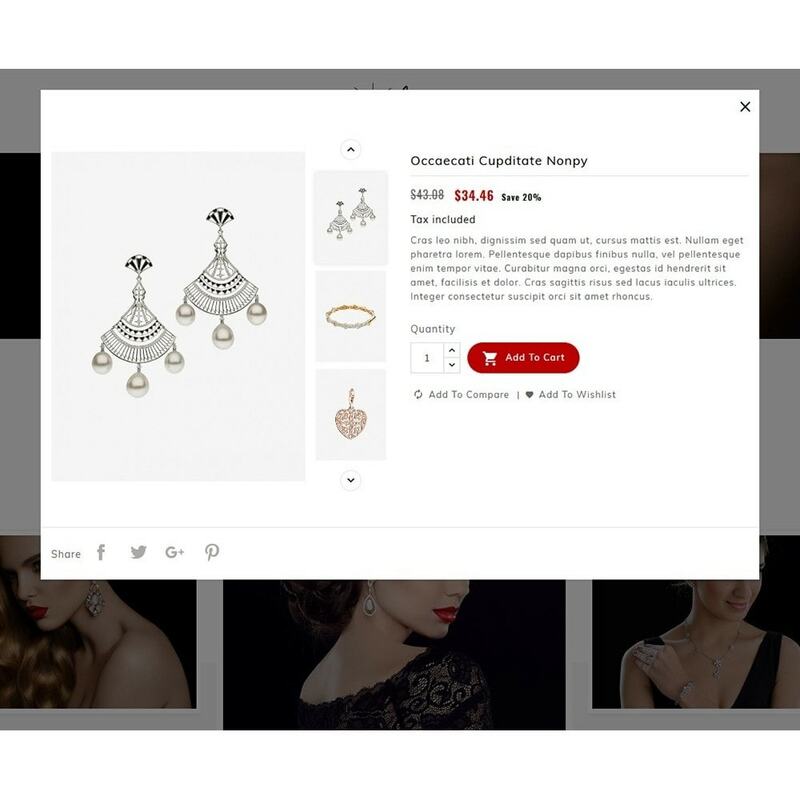 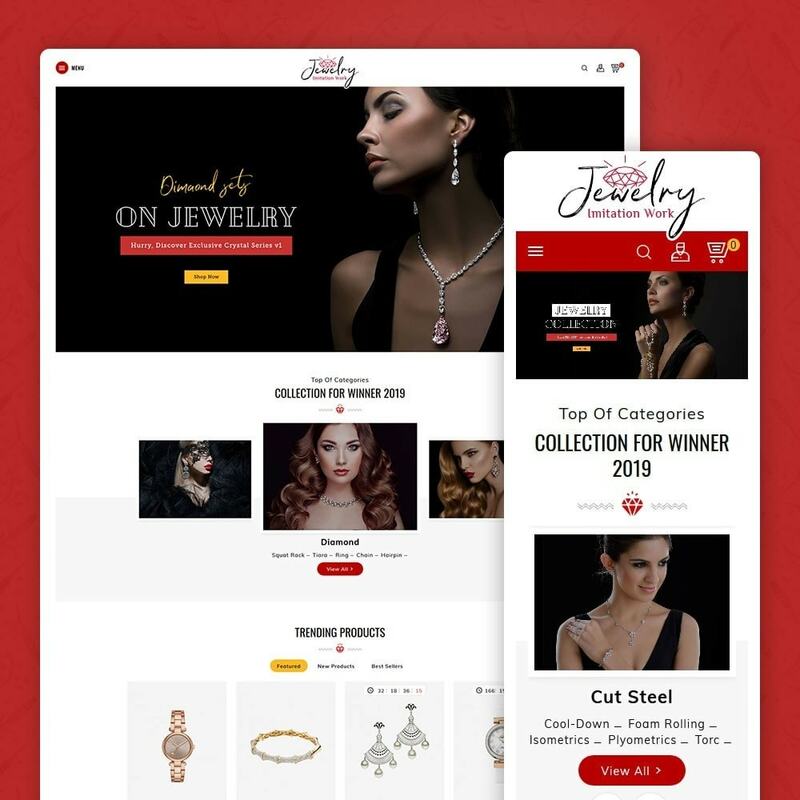 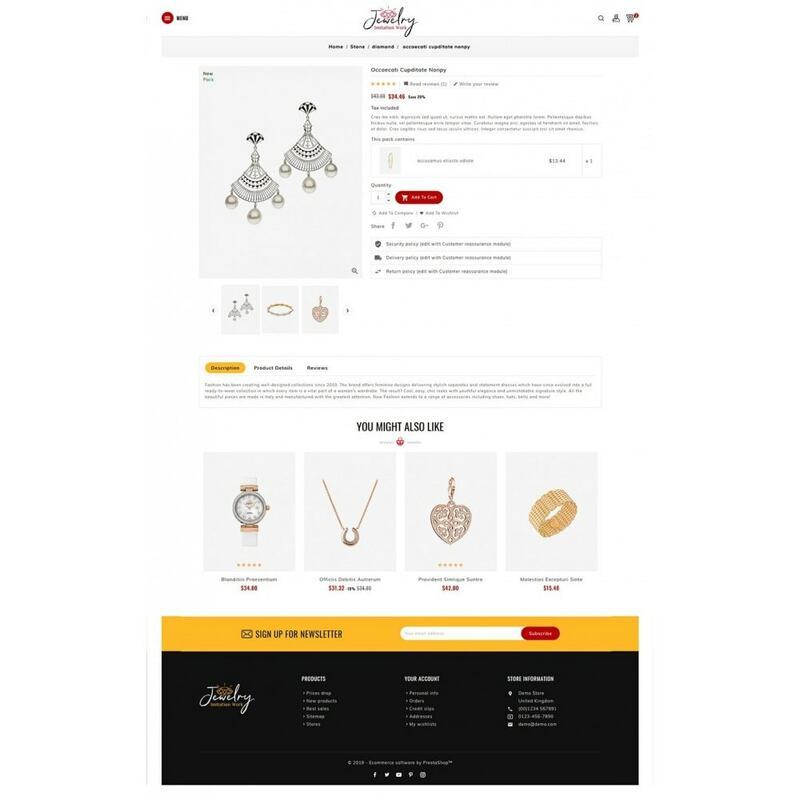 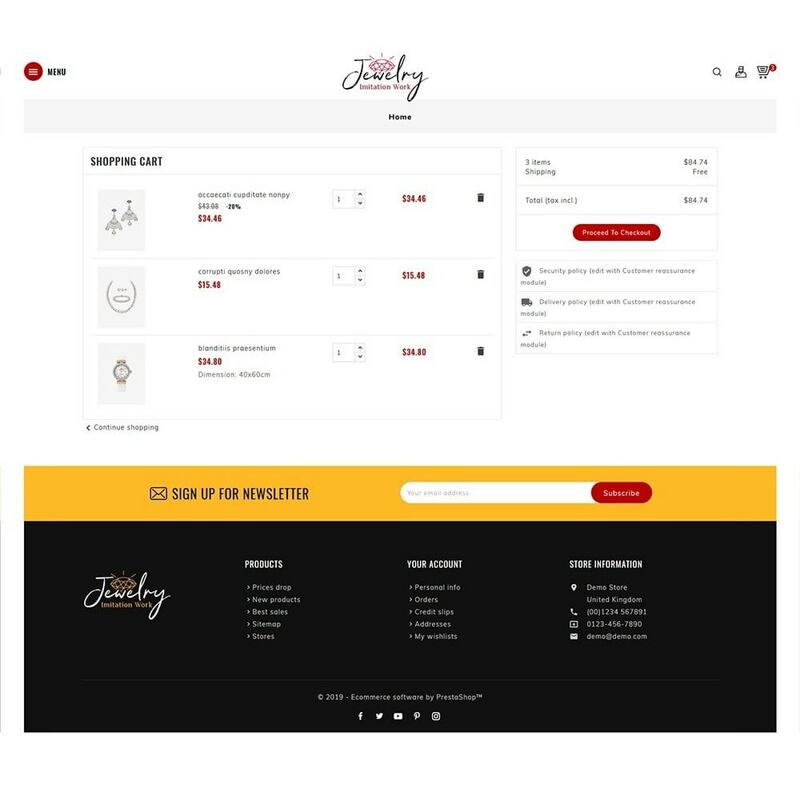 Jewelry - Imitation Work is a responsive theme designed for Jewelry, Imitation, Work, Diamond, Beauty, Cosmetic, Fashion, Apparel, Art, Crafts, Modern, Minimal and multi-purpose store. 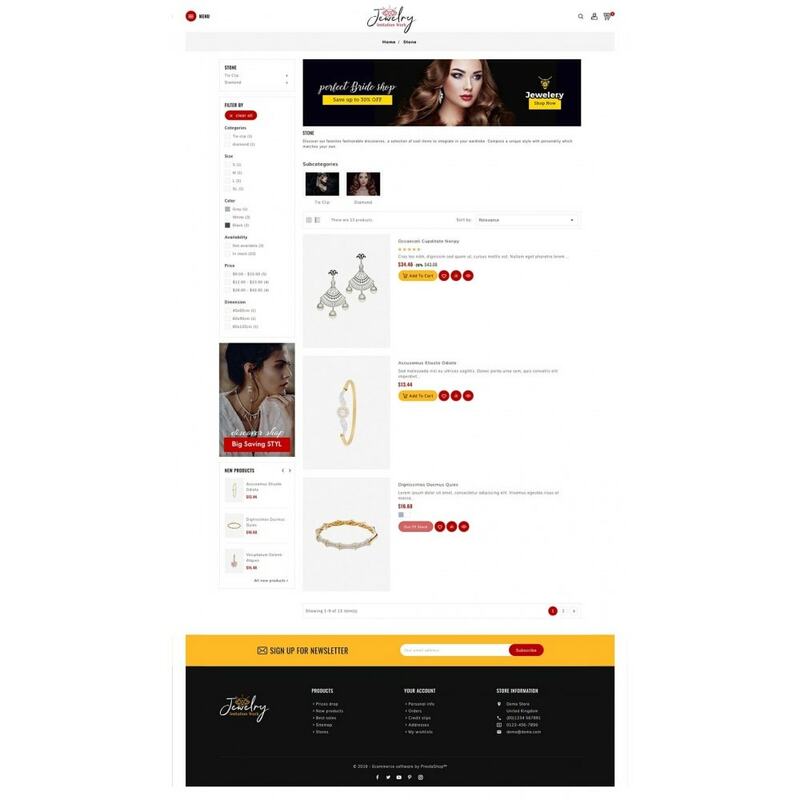 It is looking good and professional with colors combination. 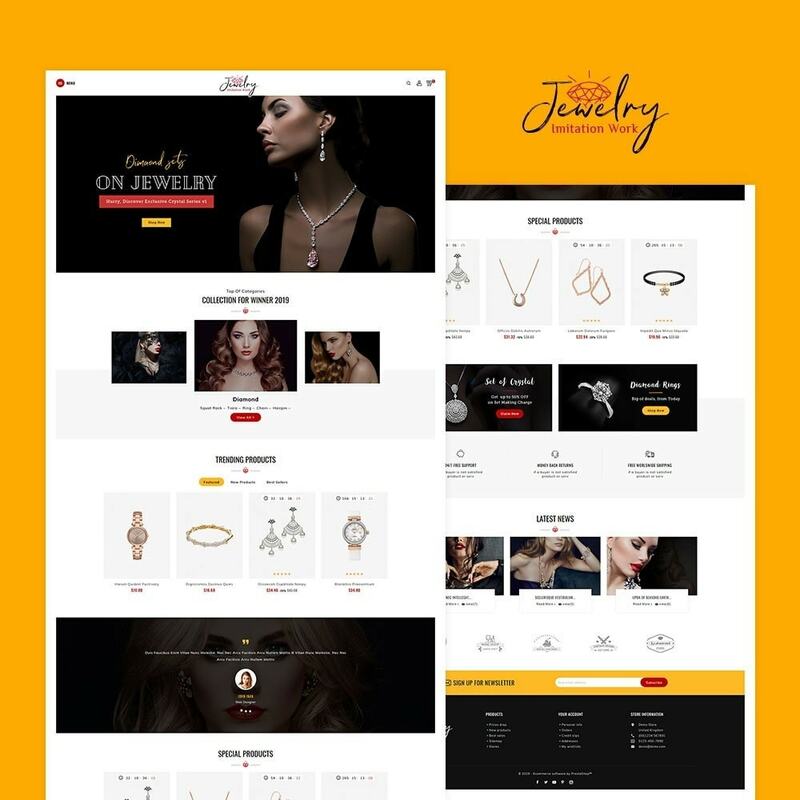 Jewelry - Imitation Work is a responsive theme specialized for Jewelry, Imitation, Work, Diamond, Beauty, Cosmetic, Fashion, Apparel, Art, Crafts, Modern, Minimal and multi-purpose store. 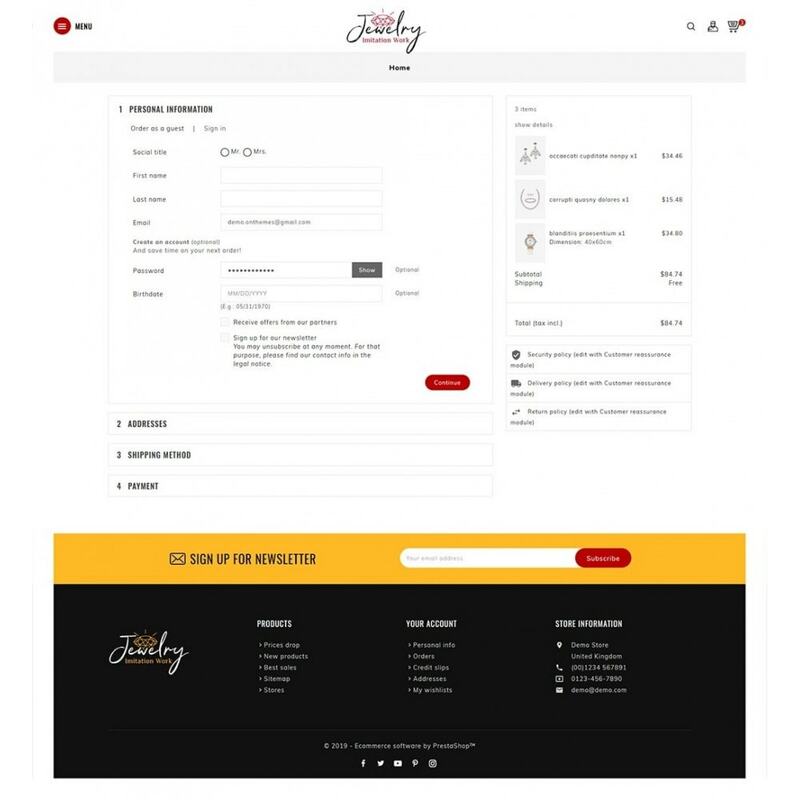 It is looking good and professional with colors combination.